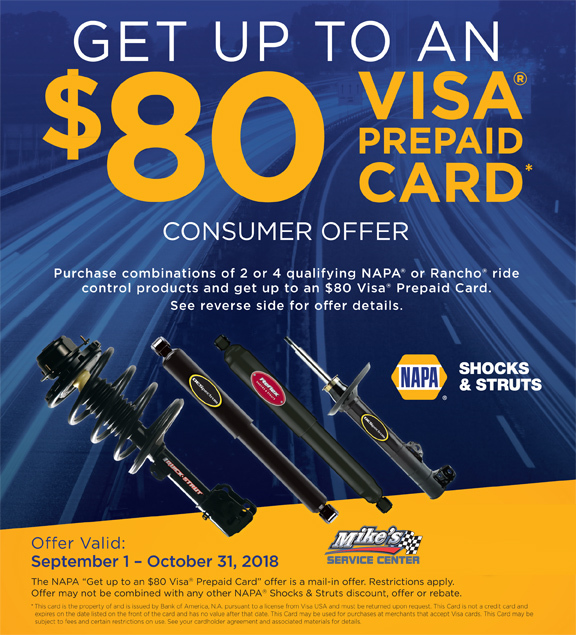 Mike’s Service Center is offering a promotion on new NAPA Car Batteries now through February 28, 2019. 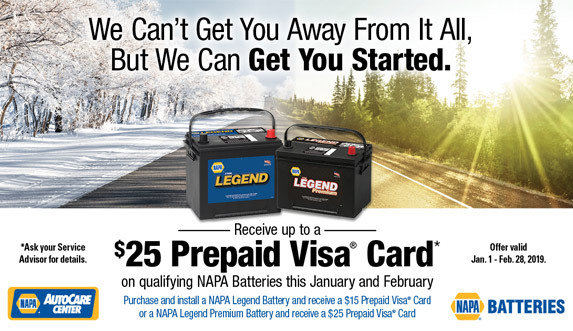 Receive a $25 Prepaid Visa Gift Card when you purchase a qualifying new NAPA battery. 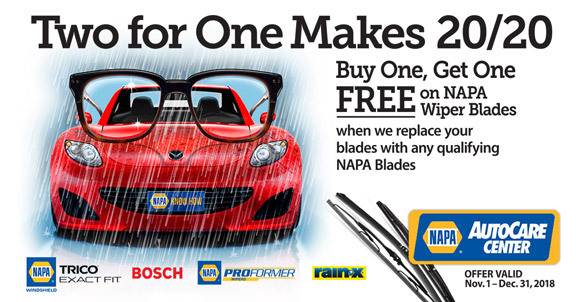 Mike’s Service Center is offering a Buy 1, Get 1 Free promotion on qualifying NAPA Wiper Blades now through December 31, 2018. 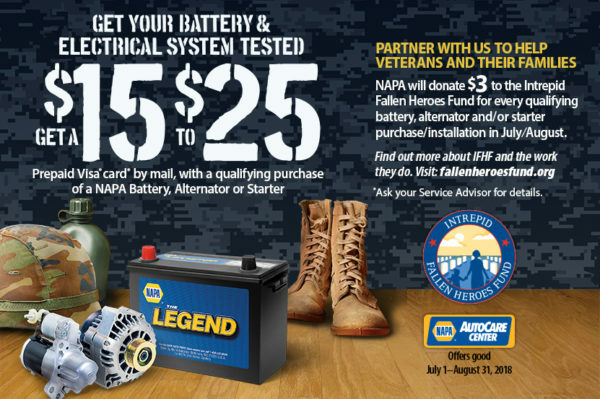 Save $15-$25 on the purchase of a new NAPA Battery, Alternator or Starter. Promotion ends August 31, 2018. Call 920-468-7522 to schedule an appointment. 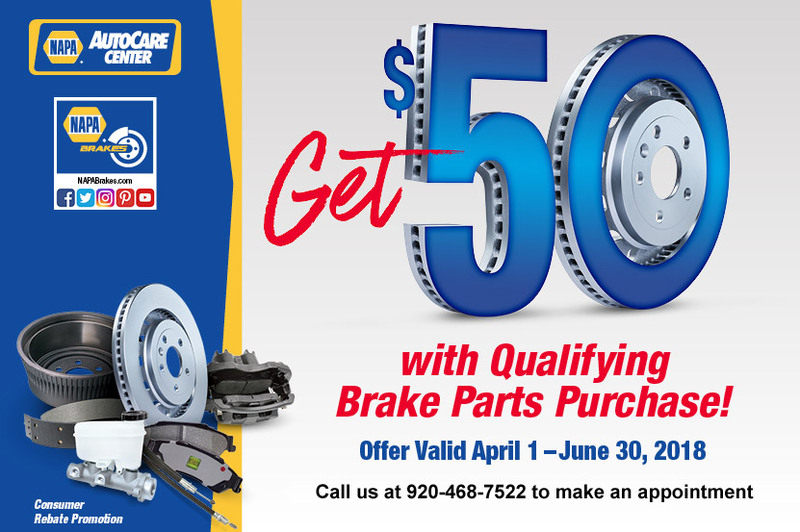 Between April 1 and June 30, 2018, you can save $50 when you purchase $250 of qualifying NAPA brake parts from Mike’s Service Center in Green Bay, WI. The $50 savings is available as a rebate and issued as a Visa Gift Card. Call us at 920-468-7522 to schedule your brake repair job, and take advantage of this great offer. View the flyer for more details on the promotion.